– to foster cultural heritage. Being part of OCA is not about building your resume or your ego. We are here for the members of the community so they may be informed and empowered. Equal Rights – This is our number one mission. As an American, you are afforded all rights prescribed by the Constitution of the United States, regardless of your race, religion, and gender. Please contact us if you feel your rights have been violated. Education – We believe that education is the first step toward empowerment. We will conduct educational programs based on the community needs. We typically announce our programs through community newspapers, newsletters, and our website. Exchange Ideas – OCA, St. Louis is a family. 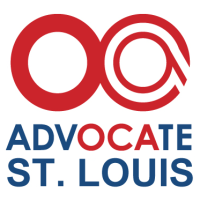 It is a non-partisan, non-religious, non-territorial organization, which means the members of OCA, St Louis are from all walks of life. Our members include police chief, engineers, doctors, lawyers, scientists, software developers, professors, managers, restaurant owners, small business operators, etc. This is the perfect organization for you to network with other people with the same desire to be free and equal.